My parents brought home their first computer back around 1992. I still remember it surpisingly vividly, considering it was 25 years ago. It was right around Christmas, and I think it was meant as a surprise for the whole family. I suppose they made the investment for Dad's job, but I discovered a (not so) secret of fatherhood a long time ago - nothing stays just mine for long. Soon we were all using the PC, for work and school and play. It had a couple 5¼" drives on it for loading programs. I still remember the sound of loading a disk - it sounded like it was eating it... kind of a ratcheting sound. There might've been a hard disk too (you don't need one after all, but then you need to load everything into RAM every time you power on), but not more than about 40 MB. And ridiculously, that would've been plenty of space to work with. It was a different era 25 years ago. The Internet was growing, but wasn't always-on. We used CompuServe to go online, mostly just to check the weather. It was a real novelty. It had to be, since it took about 5 minutes to connect and you were charged hourly. Everything - weather reports, chat rooms, news - was mostly text. On a good day, a modem downloaded about 2 kb/s! We've come a tremendously long way to get where we are now. There's more computing power in most cell phones than there would've been in a whole row of homes 25 years ago. Has it all been positive? I'm not sure. Like every tool, it's on the user to decide how to use it for good. What we can create and do now is definitely mind-blowing though. I feel like I was born at just the right time to grow up in a connected world but also remember what it was like to not be always connected - but that's a topic for another day. 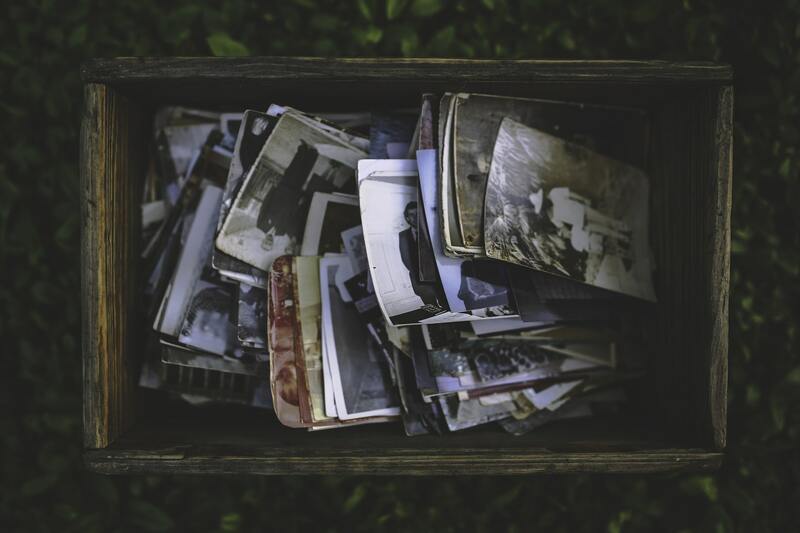 Got any memories of your own? I'd love to read about them below! 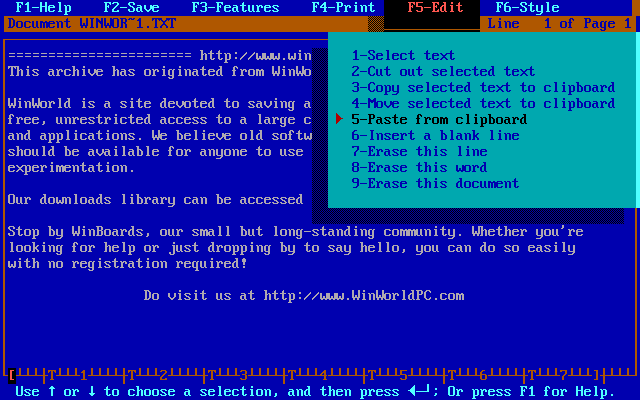 First Choice, the word editor I used to create countless reports for elementary and high school. 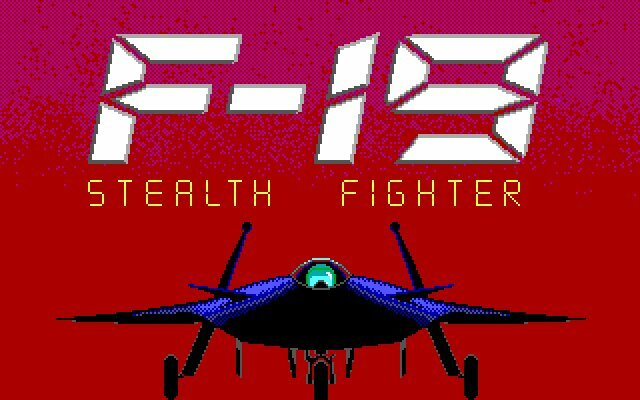 The first game I played, a flight sim called F-19 Stealth Fighter. 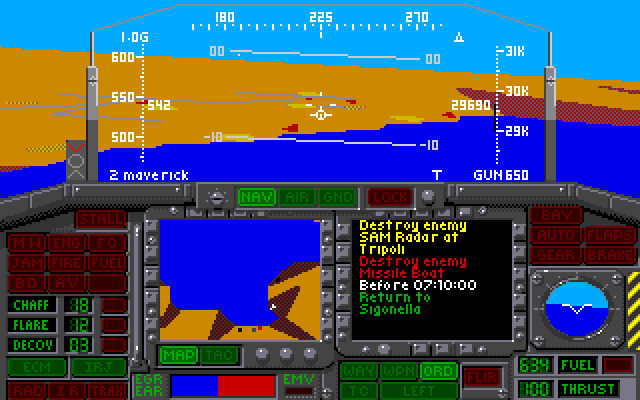 You could climb the ranks, earn awards, there were countless variations of missions and levels of difficulties. It was great. And it fit on like one or two disks. 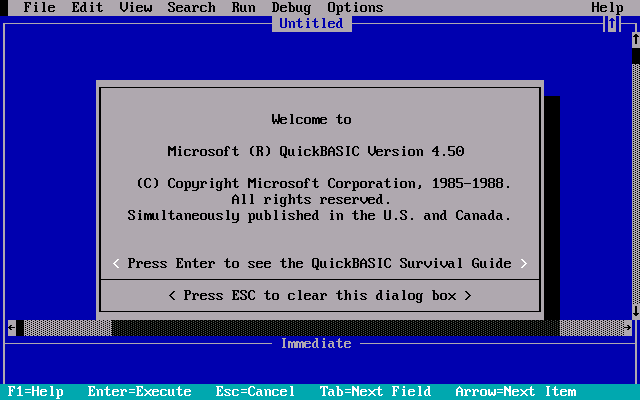 My first foray into programming was with QBasic. Sick of all the noise on Twitter? I was too. So I wrote a Chrome extension to hide it.